A graduate of the Moscow State University’s School of Philology, Ambassador Pankin begin his career in journalism in 1953. In 1982, he was appointed ambassador of the USSR to Sweden and then to Czechoslovakia in 1990. 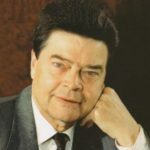 In 1991, he was appointed Foreign Minister of the USSR after which he was appointed Russian ambassador to the United Kingdom, a post he held between 1992 and 1994. In 1974 he received the award of the Union of Journalists and in 1982 he won the State Prize in Literature. In 1991 he was awarded the American ‘Congressman’s Medal of Valour’. In 2003 he received the Russian National Media Award ‘Elite’. Ambassador Pankin is currently a member of Board of Advisors of Global Panel in Berlin and a member of Boards of International Committee of Citizen Diplomacy in Moscow. He has authored several books, including a novel, short stories, collections of essays published both in Russia and internationally.